Living in the big city, I am sure my skin suffers. Pollution is everywhere, and at an all time high in London. Ugh. 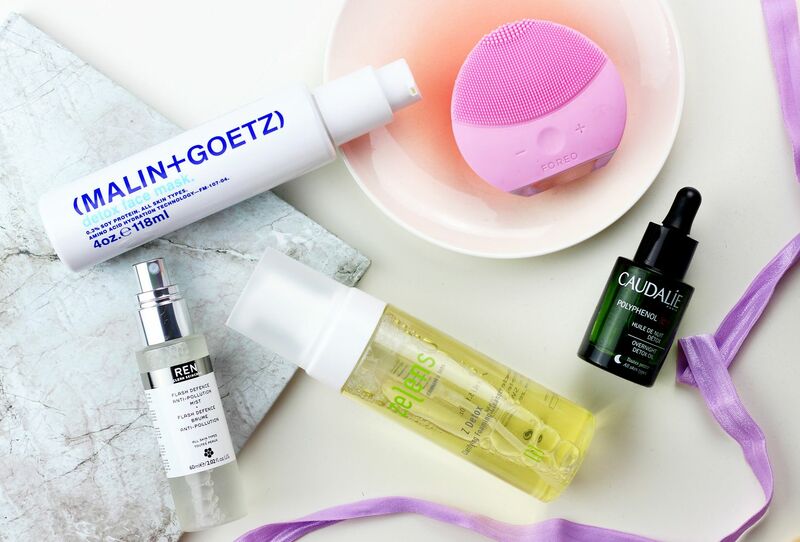 To stop my skin giving up on me, I have five products I rely on the detoxify, clarify and leave my skin smiling. When I get home, I do three things – Put the kettle on. Tie my hair up into a bun. Wash my face. Especially on hot, claggy days, I tend to want to get my makeup off and let my skin breathe. I use Bioderma all over to take off the first layer of makeup and grime, and then something balmy or oily to clean my skin. Then, for extra cleanness, two or three times a week I will then take a further cleanser. 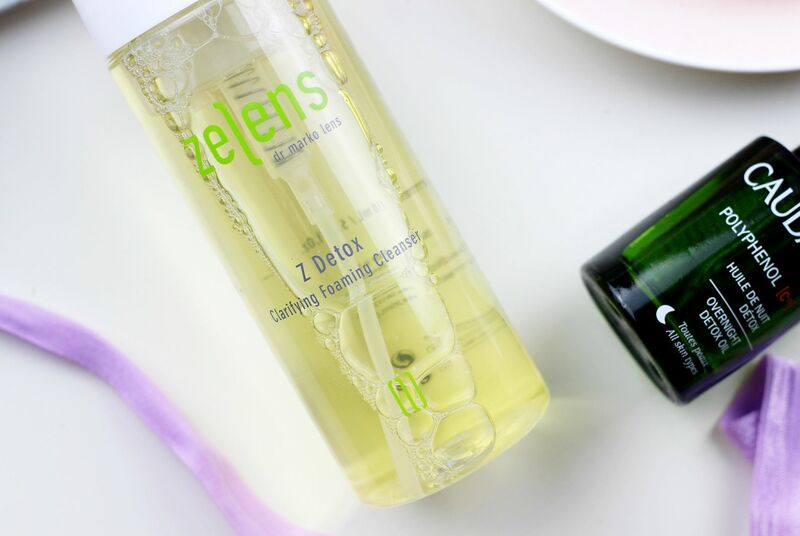 Something with glycolic acid when my skin is looking congested, something milky when my skin is feeling particularly dehydrated or something designed to purify the skin, like the Zelens Z Detox clarifying cleanser. I’m of the Caroline Hirons school of thought that foam is bad, but this cleanser is different, I think. It doesn’t dry my skin out, and it just leaves it feeling clean but not squeaky. It actually foams because of the pump (one pump dispenses the perfect, pre-foamed amount), not because it’s full of SLS foaming ingredients. Lovely stuff, and Zelens is one of those brands I really trust the science behind. 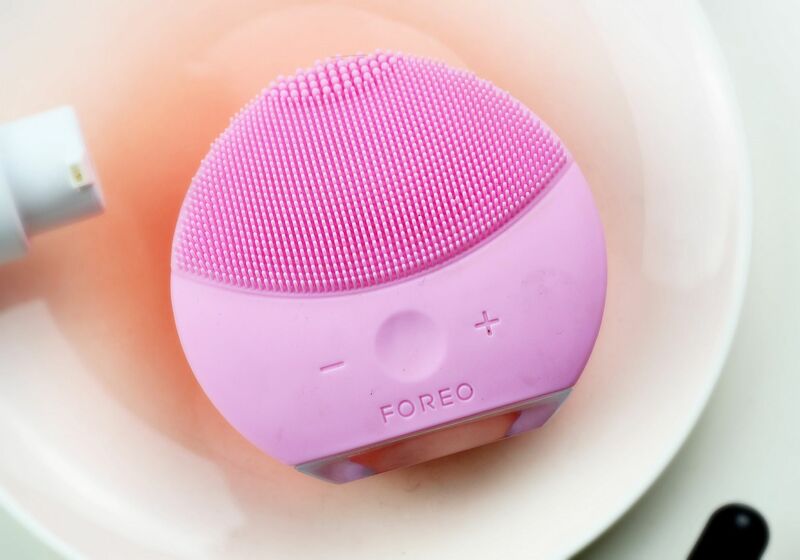 When I use that, I also take my Foreo Luna mini and use it for a minute all over my face. It doesn’t tickle, but instead helps to gently exfoliate the skin as well as providing a deeper clean – perfect for keeping city skin healthy and happy. 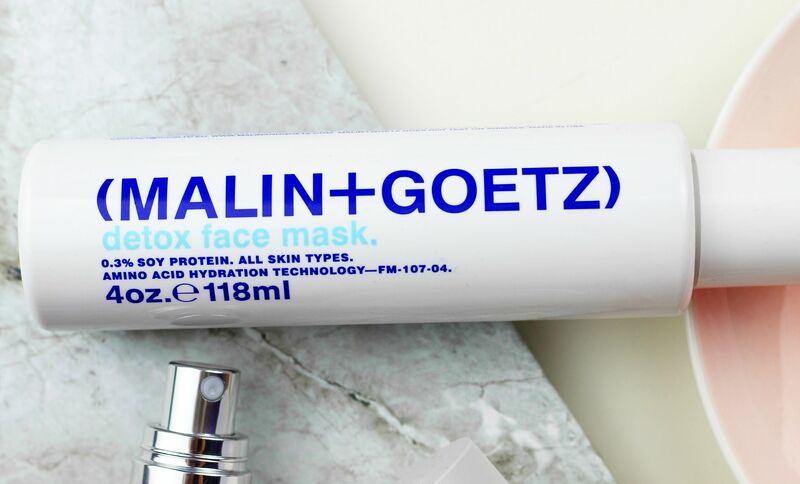 In terms of treatments, my favourite mask for clarifying the skin is the Malin + Goetz detox face mask. It applies like a clear cream, but then once on the skin it bubbles up and leaves you with a majestic bubble beard (like shaving foam), which is great for snapchat. It does leave my skin feeling so much cleaner and fresher but without any of the harshness that a typical clay mask might do. Magic stuff. Then, my old faithful – the Caudalie overnight detox oil. Gorgeous stuff, and something I gravitate towards whenever I want my skin to look brighter and livelier in the morning. 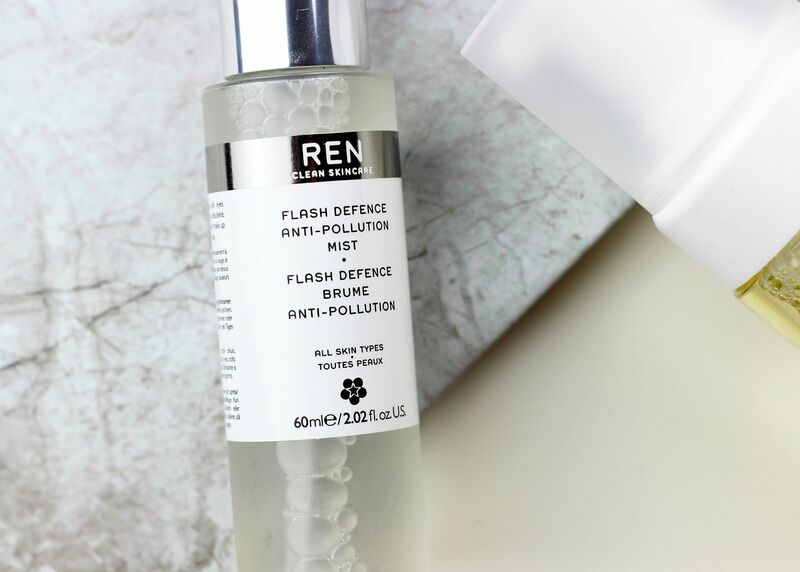 Something I’ve been popping in my bag to use throughout the day is the REN Flash-defence anti-pollution mist. It smells nice, has a fine mist, adds hydration and protects from pollution. Um yeah, basically a city-girl handbag essential. I can’t attest to its anti-pollution claims but it leaves skin feeling fresh and not at all clogged. Do you live in the city, or have amazing skin in the countryside?